Nameri National Park is located about 35 km away from Tezpur, at the foothills of Eastern Himalayas, Nameri National Park covers an area of about 200 sq. km. Hill, deciduous forests and the river Jia Bhoroli have added an unique charm to it. The Mahseer of this region is legendary, particularly the golden Mahseer. Tourist can also go river rafting. Nameri is treasure house of many endangered species of wildlife like the White-Winged Wood-Duck, Tiger, Leopard, Clouded Leopard, Sambar, Elephants, Gaur, Indian Wild Dog, Civat Cat, Capped Langur, Jackle, etc. 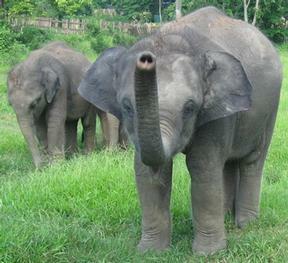 Various birds including four species of Hornbill and reptiles are also found in this national park. The tourist development as a tourist lodge at Bhalukpung, which is about 21 km from the park. There is also an Eco-Camp at Potasali, which provides comfortable accommodation and delicious food. Best season to visit the national park is from November to March. This entry was posted in Assam, Nameri National Park. Bookmark the permalink.